Were comets the source of Earth's water? Rosetta spacecraft says "no"
The Rosetta spacecraft is currently orbiting and exploring comet 67P/Churyumov-Gerasimenko—a large mass of rock and ice that it landed the Philae probe on in November—and its newest discovery might give us startling insight about the origin of water on our own planet. It has been discovered that comet’s water contains three times the amount of deuterium than water here on Earth, which throws a wrench into theories that this planet’s oceans and rivers may have originated from comets slamming into it during its formation. 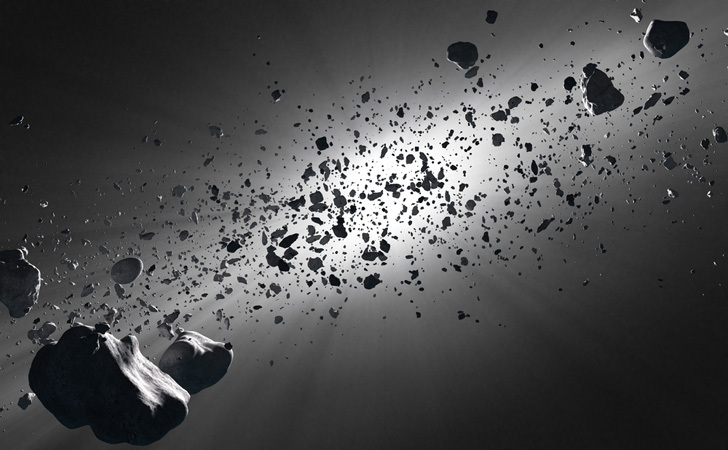 This information has led Kathrin Altwegg, executive director of the Center for Space and Habitability at the University of Bern in Switzerland, to believe that our water must have come from asteroids rather than comets. The asteroids we see today are mostly dry, having been dehydrated by sun exposure over the last few billion years. However, it’s very likely that they could have held a great deal of water around the time that scores of them crashed into earth, approximately 3.8 billion years ago. At that time, which is known as the “late heavy bombardment,” countless asteroids are believed to have pummeled the Earth, as well as Mars, Venus, and Mercury. Comets that come from both the Oort Cloud and the Kuiper Belt (the latter of which was the birthplace of 67P) all have higher levels of deuterium than any water found in Earth’s seas and rivers. If comets had been the vessels that brought water to our planet, the water here would have the same heavy hydrogen levels that these comets have … which it doesn’t. Our water is H2O: two parts hydrogen, one part oxygen. Deuterium is a type of hydrogen, but has an added neutron, thus creating the “heavy water” that Rosetta has found. Or rather, that has been found so far; as the comet moves closer to the sun over the next few months, it’ll release more water and gas. Scientists can then determine whether other areas of the comet have different deuterium levels, which may in turn give us clearer insights about the origins of water on our little blue planet. 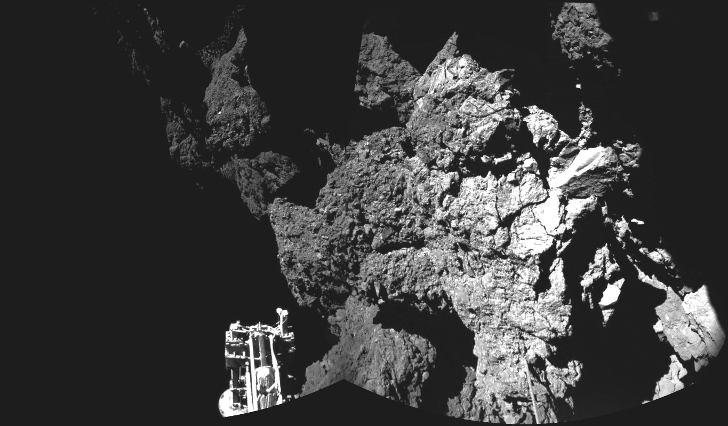 Lead image: Rosetta’s lander Philae is safely on the surface of Comet 67P/Churyumov-Gerasimenko. Photo by the European Space Agency – ESA via the ESA website and Flickr. Second image via Shutterstock. Comet 67P - Philae comet landing.